While I was at the Cherry Hill Mall I noticed that there was a new cupcake kiosk. (To be honest it might not be that “new.” I haven’t been to the mall in a while.) I couldn’t resist, I had to get a few different flavors. Banana Cream Pie (Limited Edition)Vanilla cake filled with banana custard topped with vanilla buttercream and a dollup of banana custard. *Available in stores 8/1-8/14. 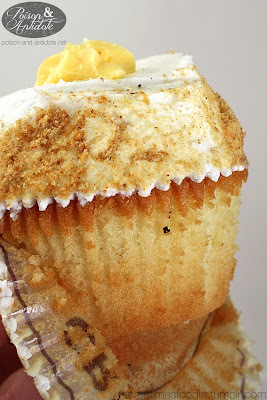 Apple cinnamon cake with apple preserves filling topped with vanilla cream cheese frosting and covered in streusel crumbs. Vanilla cake with chocolate fudge filling covered in vanilla cream cheese frosting mixed with soft chocolate chip cookie pieces and topped with a chocolate chip cookie. These cupcakes are BIG. I don’t think my photos do it justice. Next time I’ll have to take a size comparison shot. 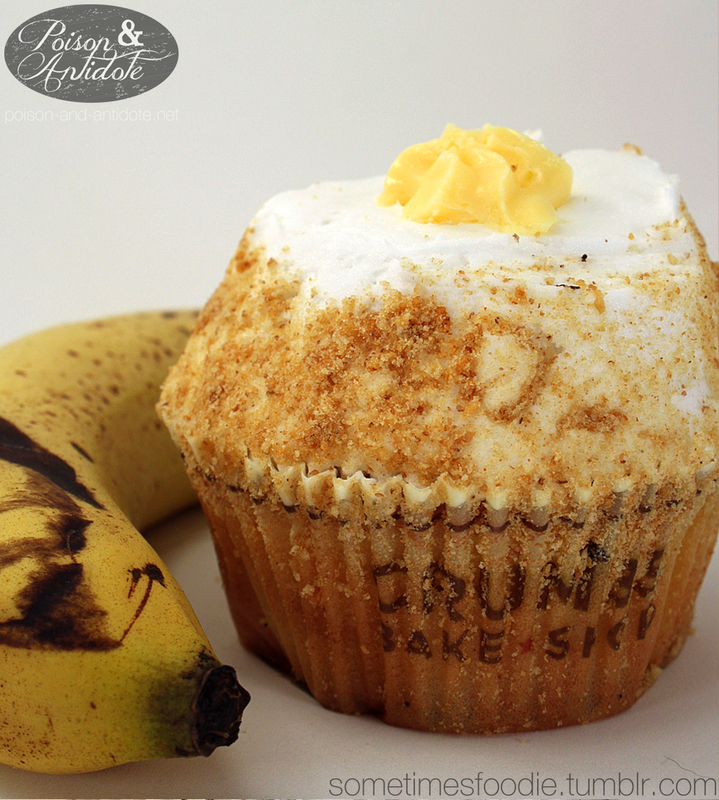 Sticking with my current banana obsession, I’m starting things off with the banana cream pie cupcake. Visually this cupcake is stunning. 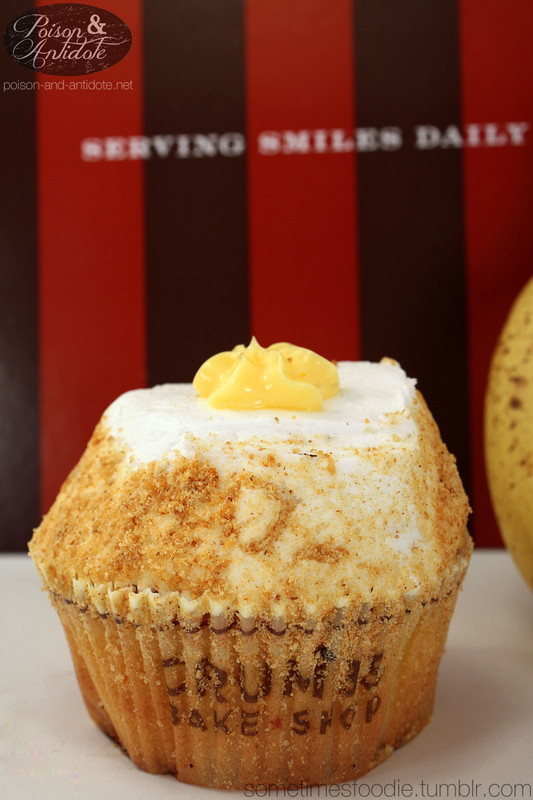 The buttercream is coated with vanilla wafer crumbs, just like a banana cream pie crust, and it is topped with a dollop of banana custard. It looks gorgeous in person and it photographs beautifully, but being pretty isn’t enough. I took a bite…and no banana. Seriously, I couldn’t taste any banana at all. The vanilla butter cream, wafer crumbs, and cake were all that was there. After about 3 bites I finally got to a small reservoir of banana cream in the center, but even that was very vanilla heavy. 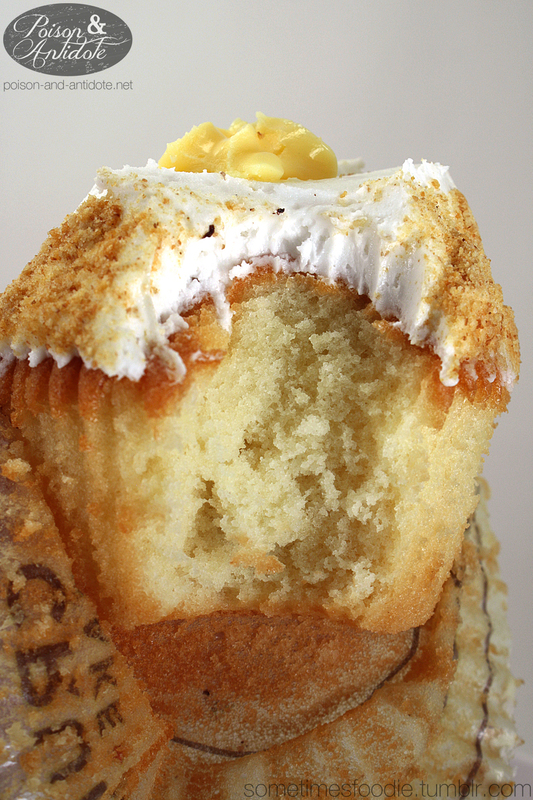 There was practically no banana at all in this cupcake. It was really messy to eat, there were vanilla wafer crumbs everywhere, and there was very little banana pay off. I hope the other two cupcakes are more accurately flavored. 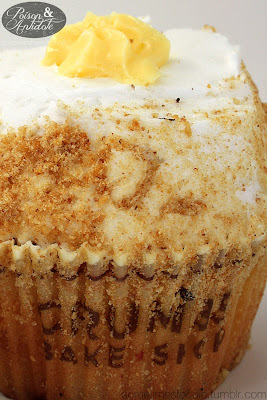 If I were to judge Crumbs bakery on this cupcake alone, I don’t think I’d ever buy from them again.